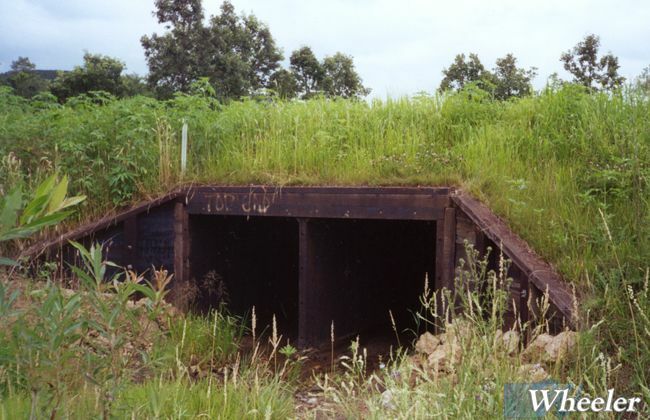 Wheeler Laminex Culverts are used in the harshest soil and water conditions. 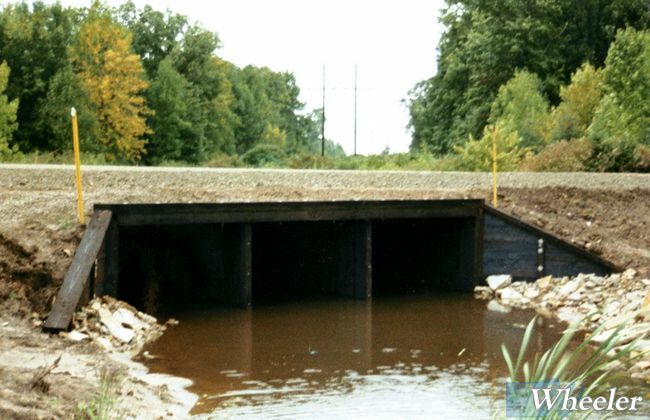 Available as single or multiple barrels, the laminex culvert blends into the surrounding environment with its natural, rustic color and texture. 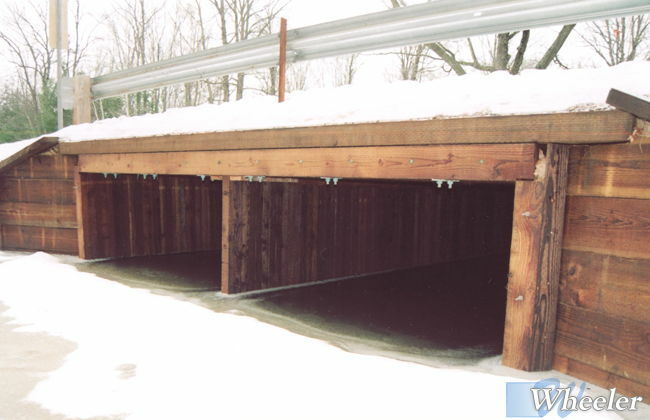 Flexibility in design allows almost any rectangular configuration, perfect for extending existing culverts. 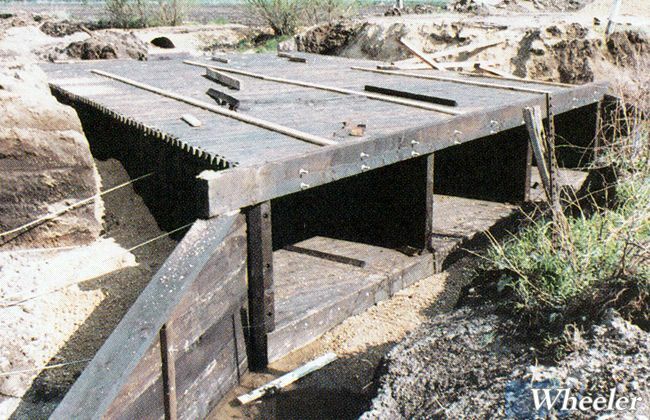 The square or rectangular opening provides greater area than circular culverts of the same height, and greater flow at low water levels. 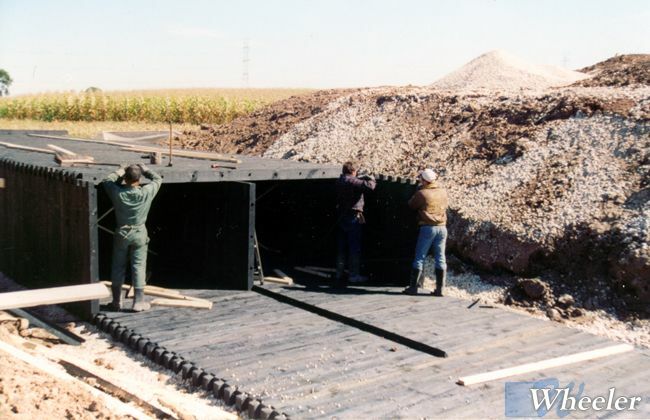 The laminex culvert design provides maximum head room with minimal cover. 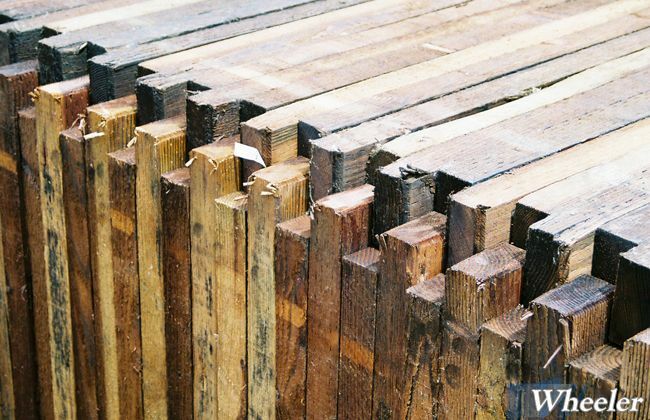 Pressure treated Douglas Fir stands up to the harshest conditions. 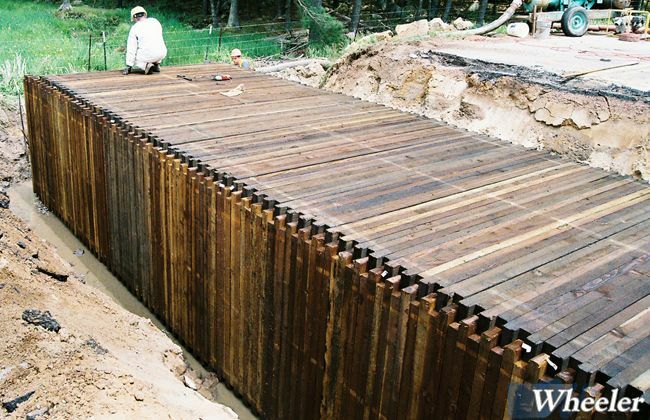 Panelized sections are easy-to-handle units, for simple and fast erection in the field. 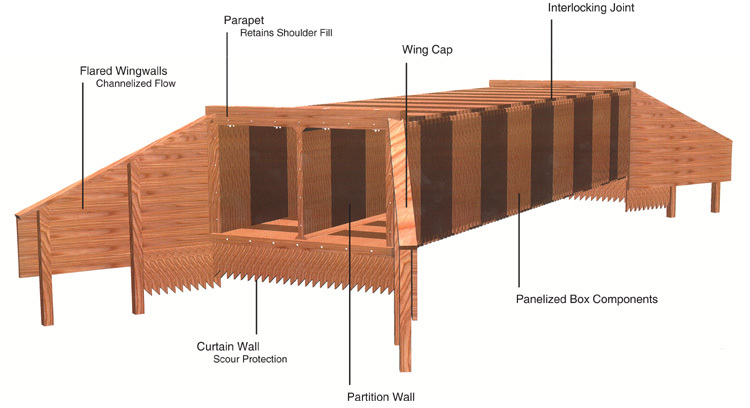 Interlocking corners provide a continuous straight line box with no weakening joints. Sloping, angled wing walls for scour protection and improved hydraulics. Parapets along the top of the culvert hold back the highway shoulder. 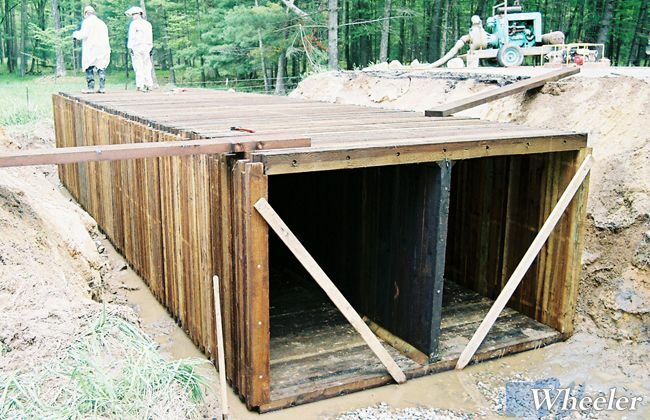 Underground curtain walls prevent undercutting and backwashing. Conforms to all federal, state, and local specifications.